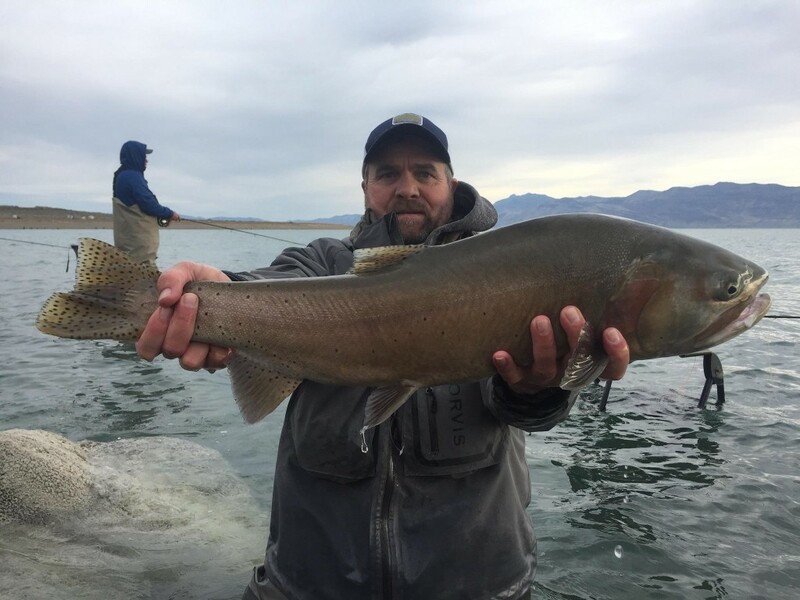 The March spawn is on and some big fish are headed into shore on Pyramid Lake Nevada! 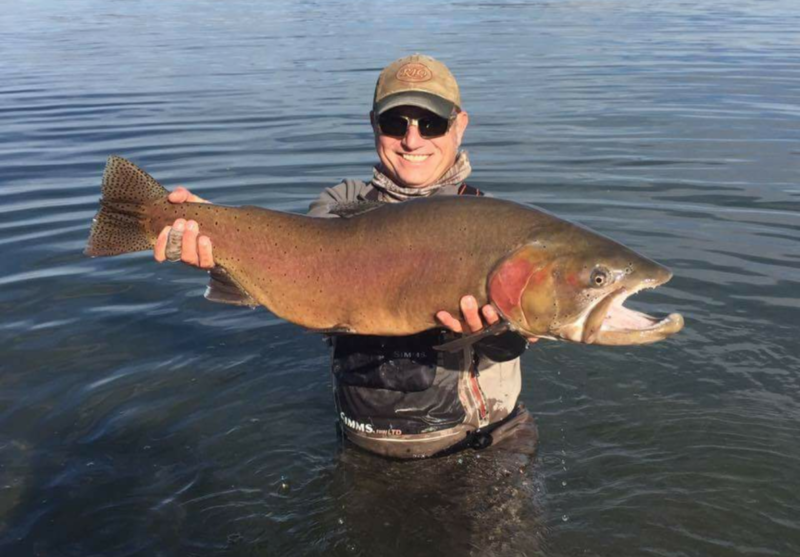 Captain Bruce A. Smith out of Southern California landed a massive 21 pounder last week and Guide Nick Jackson landed a fat 18 pounder this week. The fishing is good and the storms have made it even better. 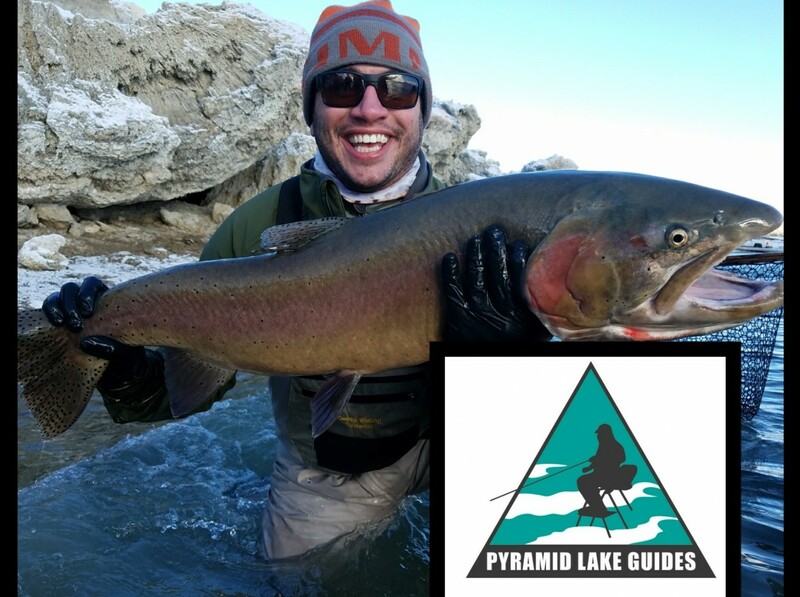 Get out there with an indicator or a streamer! 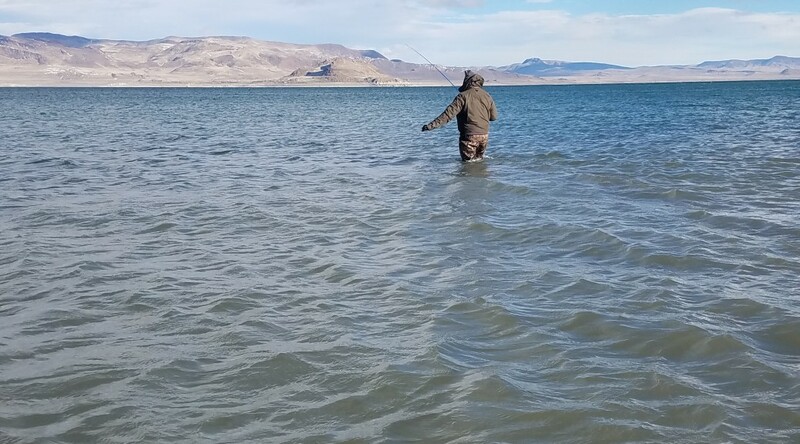 The fishing is great right now on Pyramid Lake! 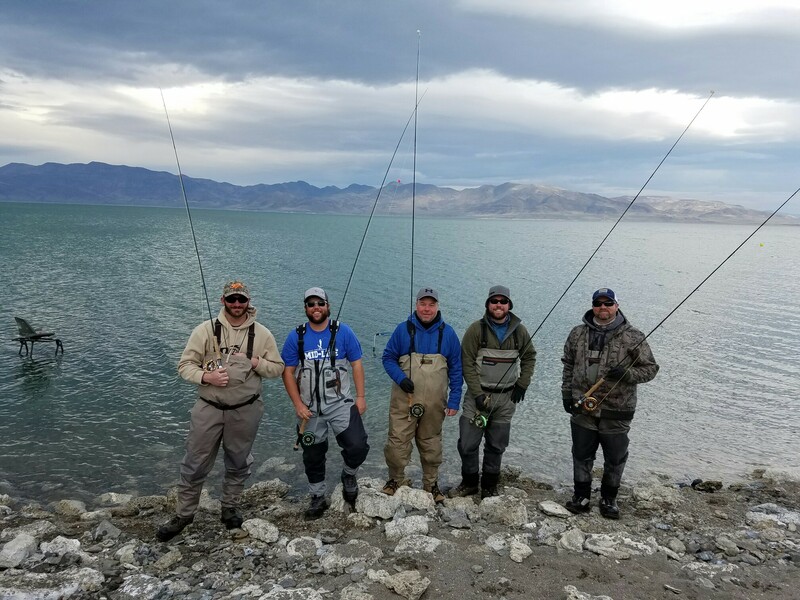 We recently had the pleasure of guiding five gentlemen out from Southern Utah. 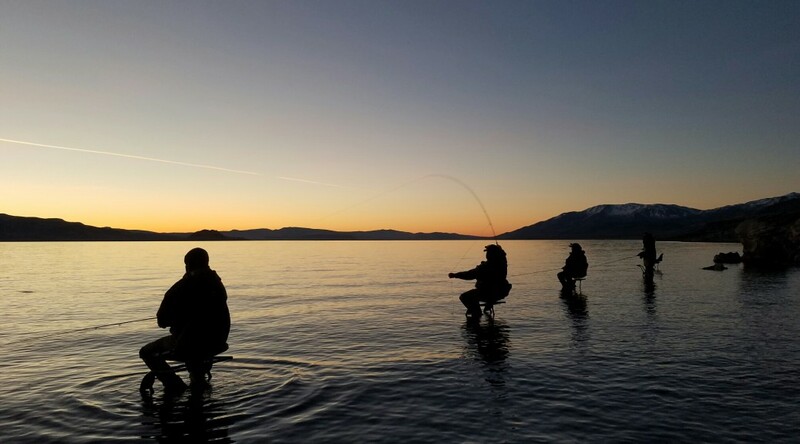 The guys were experienced Anglers and a blast to fish with. They were very dedicated and had 181 fish to the net during their 3 day trip! Including 82 on the third day with a 10+ pounder in there! 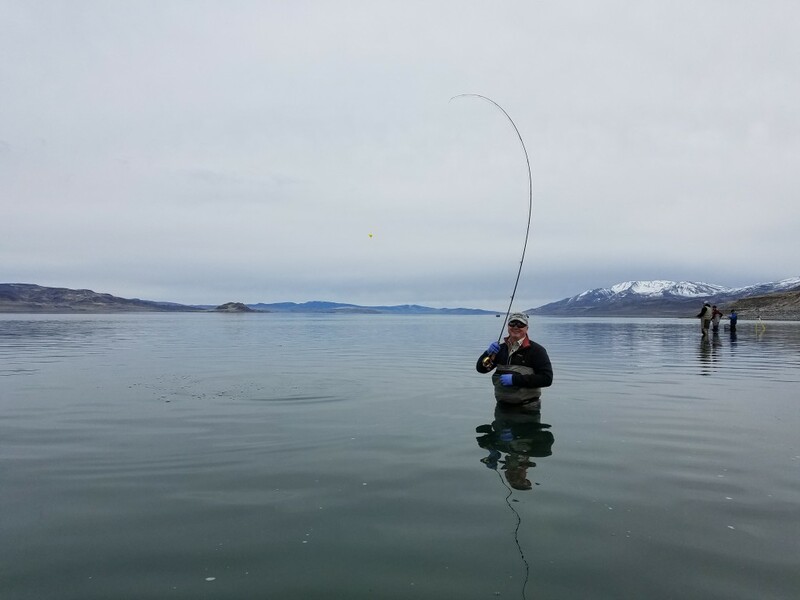 Indicator and streamer fishing are both doing well, so get out there and let’s see how many fish you can land! We’d love to see your pictures and please follow us on Instagram and Facebook! The fish are in spawn mode and are gathering near shorelines. 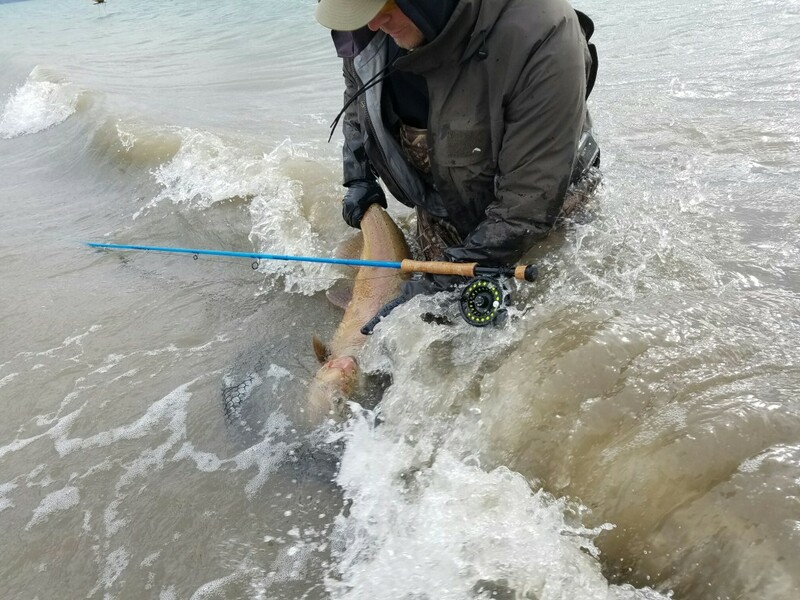 The fishing is good and numbers and to the net are high! 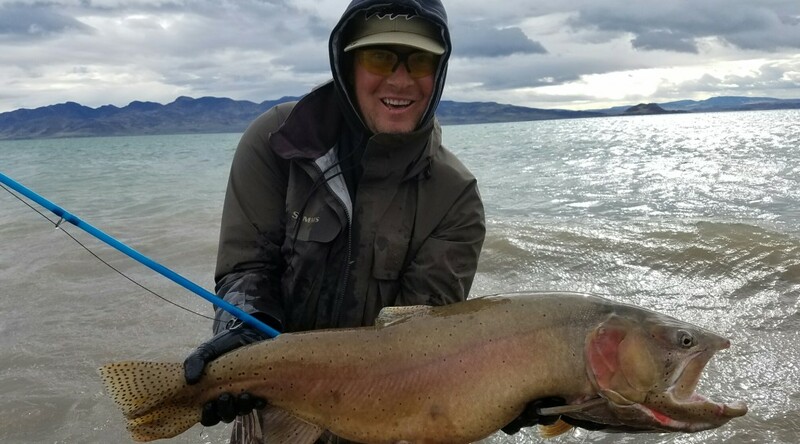 Water temps are up a bit bringing the cutthroat into shore. 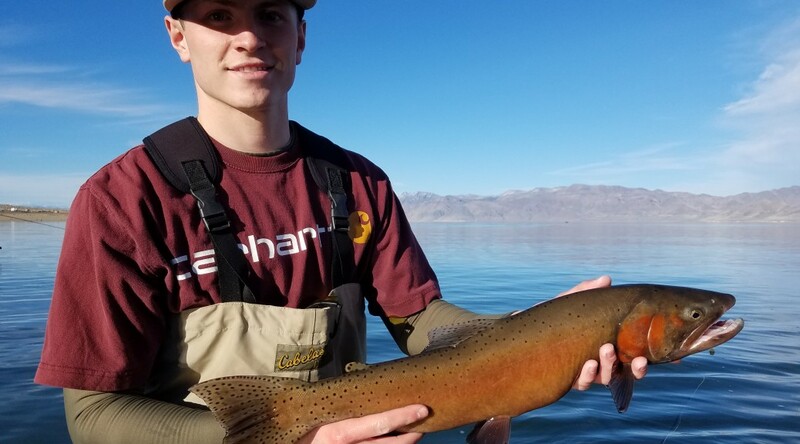 Les and Hayden out from Utah landed around 30 fish yesterday from just 1 p.m. to 6 p.m. Nice job guys, let’s get some double digits! The Tribe has announced that more beaches at the south end of the lake will be open to the public as of today March 4, 2017. Popcorn to Tamarack beaches are now open. Please respect the rest of the closure areas. Get out there and stay safe! SPRING FISHING IS LOOKING GOOD!